. Your cart will total 333 points that will be converted into a voucher of $333 towards your next purchase! Must be logged in to collect points. 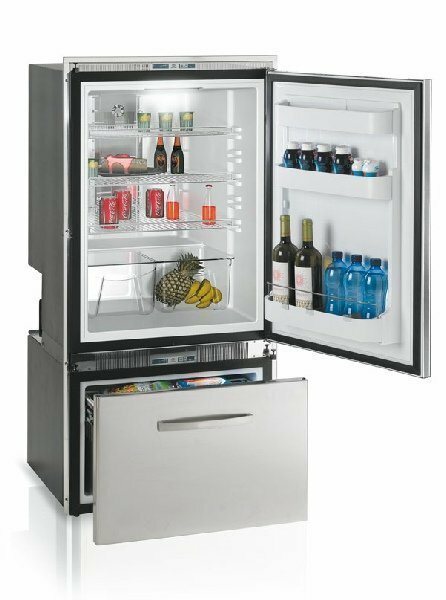 The Vitrifrigo DW250 Drawer Refrigerator/Freezer 7.6 cu ft refrigerator/freezer is a hybrid of the best components and offers the versatility of a 5.5 cu.ft. refrigerator on the top and a 2.6 cu.ft. bottom drawer freezer. This model comes with a cool satin stainless steel finish and dual compressors.